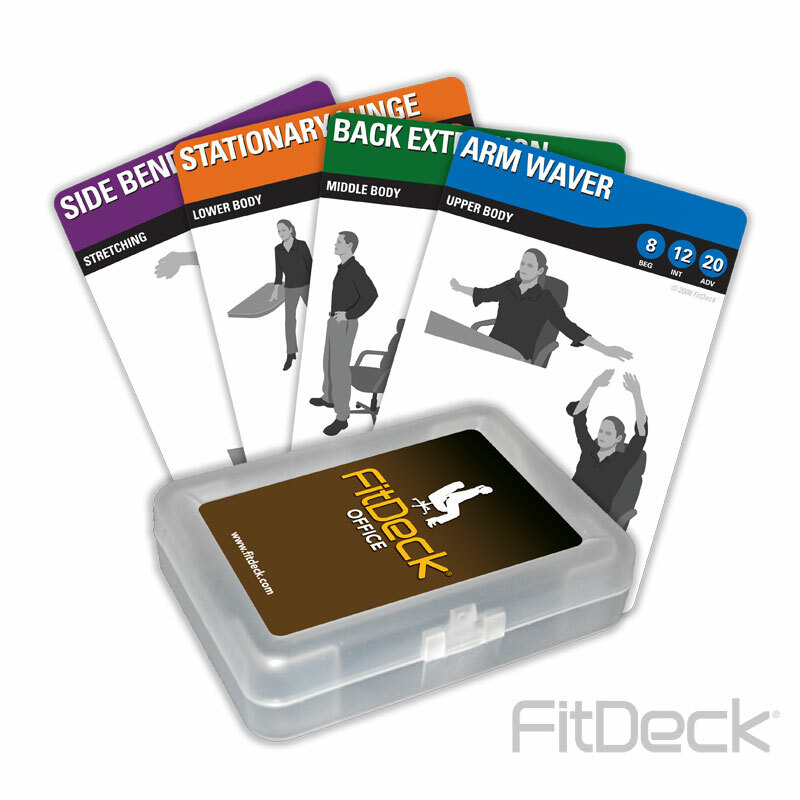 FitDeck ® Office has been designed for individuals who sit at their desks for long periods of time. Increase blood circulation, keep muscles limber, de-stress, and maintain mobility. Exercises performed in office attire (no need to change into workout clothes).